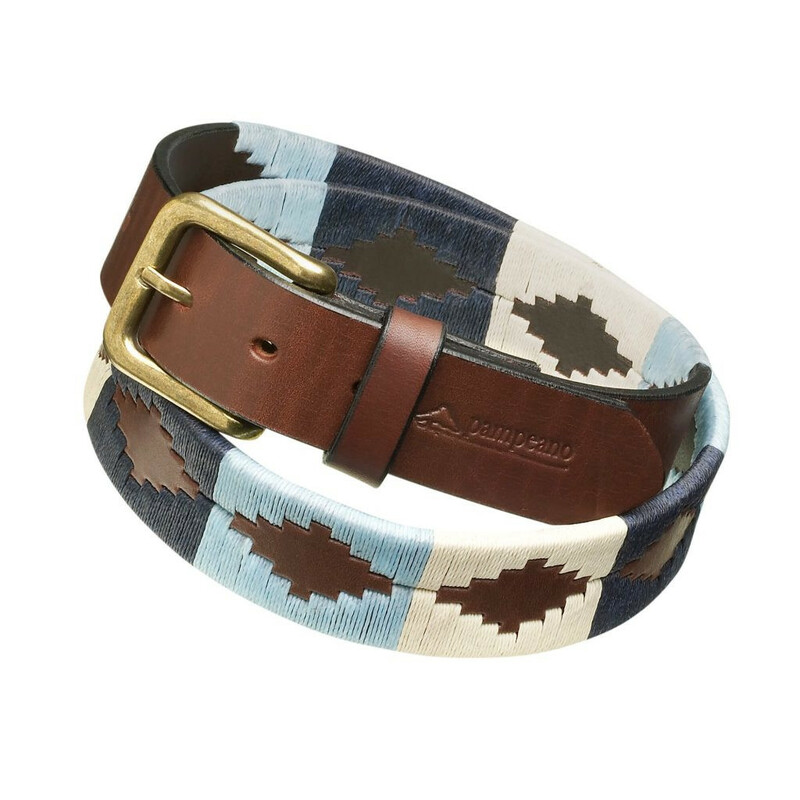 The blue, navy and cream threads are beautifully set against the contrasting rich Havana brown of the buttery Argentine leather belt and completed with a stunning antique brass coloured buckle. 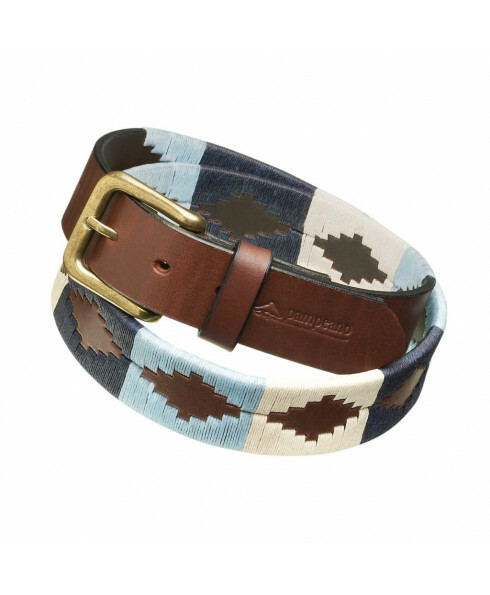 This belt is perfectly teamed with jeans, chinos, polo whites and denim cut-offs. For both men and women, the Sereno polo belt is the ideal accessory both on and off of the polo pitch and even for a spot of sailing along the Rio de la Plata itself. All of our polo belts arrive presented in a pampeano branded gift box and gift bag whether for yourself or as a gift and now you can opt to have blind embossed initials added to the belt loop to really make this accessory your own. The leather only improves with age so this polo belt will remain a true wardrobe staple for years to come.